Flaunt that killer bod in this must have slinky jumpsuit! Featuring a high neckline, slinky design material and flared hemiline. 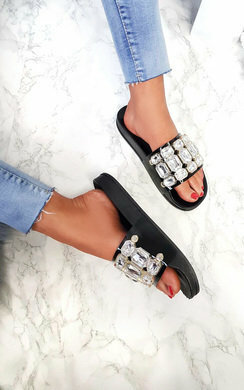 Style with embellished sandals for that oh so glam look!